Māoriland Film Festival (MFF) is Aotearoa’s International Indigenous film festival celebrating Indigenous voices and storytelling in film. Each March, Māoriland brings Indigenous films and their creators to Ōtaki on Aotearoa’s (New Zealand) Kāpiti Coast for five days of screenings, workshops, art exhibitions and special events. We are currently programming our 2019 festival. Late submissions close on November 3, 2018. The MFF is operated by the Māoriland Charitable Trust (MCT) out of the Māoriland Hub (68 Main Street, Ōtaki). In addition to the MFF, Māoriland operates a number of year-round activities, with a particular focus on Rangatahi (youth). In the early 1920s Australian company Federated Feature Films Ltd proposed a New Zealand branch to produce feature films. Mr Frank Moore visited on their behalf and suggested Otaki as a suitable place to establish a studio because of the town’s varied scenery and “potent actinic rays” (white light). 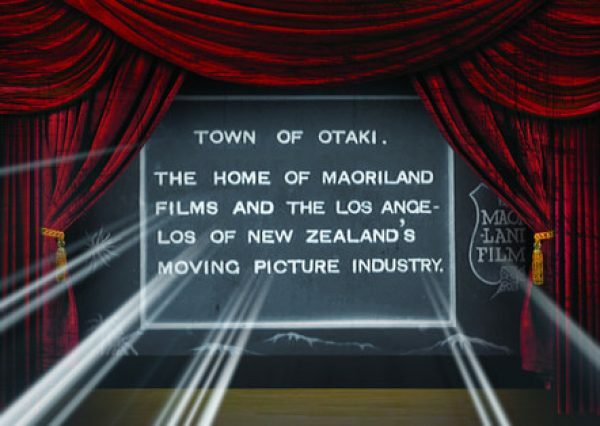 The New Zealand Moving Picture Company (Māoriland Films) was established. In the six short months it survived, the company made three films: OTAKI GORGE BULLER LAKE, OTAKI MAORI LIFE; HISTORIC OTAKI, and CHARLIE’S CAPERS (a comedy starring a Charlie Chaplin impersonator). We intend to do for Ōtaki, what Robert Redford did for Park City, Utah. Every year Park City’s population of about 6,500 swells to 40,000 as filmmakers, the film industry and fans view movies from every corner of the planet at the SUNDANCE FESTIVAL. Careers have been launched at SUNDANCE (including that of Aotearoa’s Taika Waititi). SUNDANCE also runs filmmaking training programmes called Labs. These Labs have helped bring many films to the screen, including WHALERIDER and BOY. SUNDANCE is the preeminent independent film festival in the world. MĀORILAND FILM FESTIVAL has truly unique screening venues; Raukawa Marae, The Māoriland Hub, historic Rangiātea Church, the 1940’s art deco theatre the Civic and the large venue of Ngā Purapura. The dream for Ōtaki to be ‘The Los Angelos (sp) of New Zealand’s moving picture industry’ was fleeting, due to the lack of support facilities for film in New Zealand at that time. Now nearly one hundred years later a new dream will be realised. 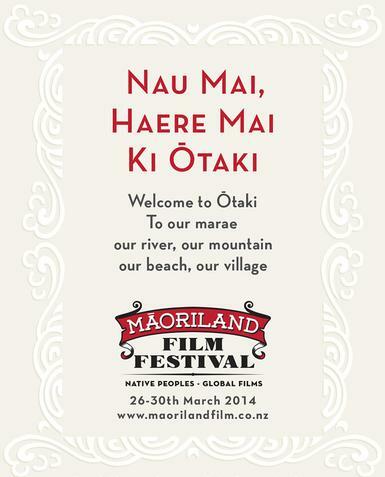 The following March, the first MĀORILAND FILM FESTIVAL was held in Ōtaki, Aotearoa. That programme featured 48 short films and 10 feature films with kōrero from 2016 New Zealander of the Year, Taika Waititi and a keynote address of the whakapapa of Māori film by film producer and director Tainui Stephens. (Te Rarawa). At that first festival, Māoriland introduced an audience of 3,500 locals to the world of Indigenous film. 20 international Indigenous filmmakers travelled from Canada, the United States, the Pacific and Australia to celebrate the inaugural festival. Since 2014, the MFF has grown quickly, attracting an audience of 9,500 in 2017. Māoriland Film Festival will celebrate its 6th birthday in Ōtaki, Aotearoa from March 20 – 24, 2019. In 2016, the Māoriland Charitable Trust (MCT) was formed to facilitate the operation of the festival and its growing programme of year-round activities. Its purpose is to improve the social, economic and educational opportunities to the community of Ōtaki by means of screening Indigenous films and organising activities such as filmmaking workshops. The MCT’s key focus is the Māoriland Film Festival and the Māoriland Hub to enable the development, education and encouragement of the creative arts. This, in turn, inspires programmes for the benefit of the wider community, especially young people in Ōtaki. In March 2017, the Māoriland Charitable Trust opened the Māoriland Hub in the iconic Edhouses building in Ōtaki Village. The plan for the building is to develop a multi- use creative arts hub containing a cinema, VR technology space, art gallery, performance space, workshop and conference facilities, ticketing and staff office and farmers market (rear car park). It will offer a venue for Indigenous artists and their collaborators to showcase or perform their work. From film workshops and the screening of films to art exhibitions, music and drama performances. A drawcard for visitors to the Kāpiti Coast, the Māoriland Hub will be a vibrant networking and collaboration space that will generate commercial and artistic benefits for our community to enjoy. We’re located at 68 MAIN STREET, ŌTAKI.